Online360 Assessment | The Business Spotlight Inc.
How Effective Is Your Online Marketing Strategy? If your company is like most, the annual marketing plan is copied, adjusted and executed over and over again with little to no change or innovation. And many times, the results are never measured. What if you had a way to very quickly assess the effectiveness of your online marketing efforts? And what if you could learn the strengths, weaknesses, opportunities and threats surrounding your current position in the online market? 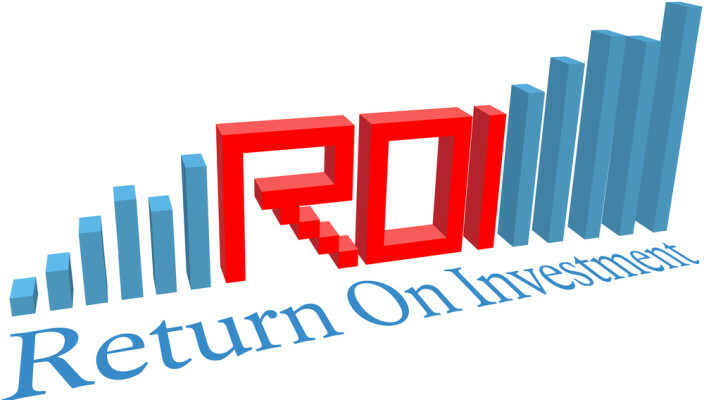 FocalPoint Reach™ is a Division of FocalPoint that provides marketing consulting services. We’ve created a detailed 72-point assessment that digs deep into your current brand presence online. This thorough evaluation reviews your website, blog, social media profiles (Twitter, Facebook, YouTube, LinkedIn, Yelp and many more), and Google results. What are we looking for as we complete your assessment? We are looking for brand message consistency (how is your brand or company being communicated? ), a solid presence within social media platforms (are you available to your target customer and are you engaging with them?) and evidence of a productive hub for customers to learn more and purchase products and services (is your website drawing targeted new potential customers and converting them?). Benefits of Purchasing the Online360™ Assessment? 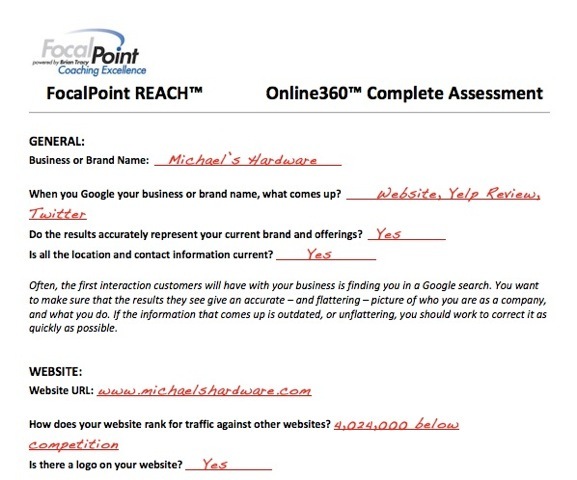 Purchasing the Online360™ assessment provides tangible and measurable data to help you make specific and high impact improvements to your online presence. This “outside in” objective review is completed by a marketing expert who can quickly identify specific opportunities for your business to attract more potential customers, convert them to real customers and build solid momentum for your brand and company. To learn more about the Online360™ assessment and begin the process for your company, fill out the Contact Us form and we’ll setup a time to discuss the details with you. We’re excited to work with you! Get crystal clear about what's possible. Discover the #1 thing stopping you from getting more ideal clients. Identify the most powerful actions to achieve your goals. Leave session re-energized and inspired to take your business to the next level! Is your business setup to succeed or fail? Check right now. Copyright © 2019 The Business Spotlight Inc.. All rights reserved.